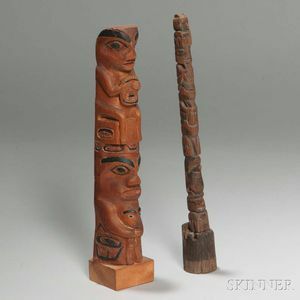 Two Northwest Coast Carved Wood Model Totem Poles, c. late 19th century, one with red and black pigment and old tag marked "Bella Coola, Vancouver Isl, Br. Col," ht. 8 and 8 1/2 in.